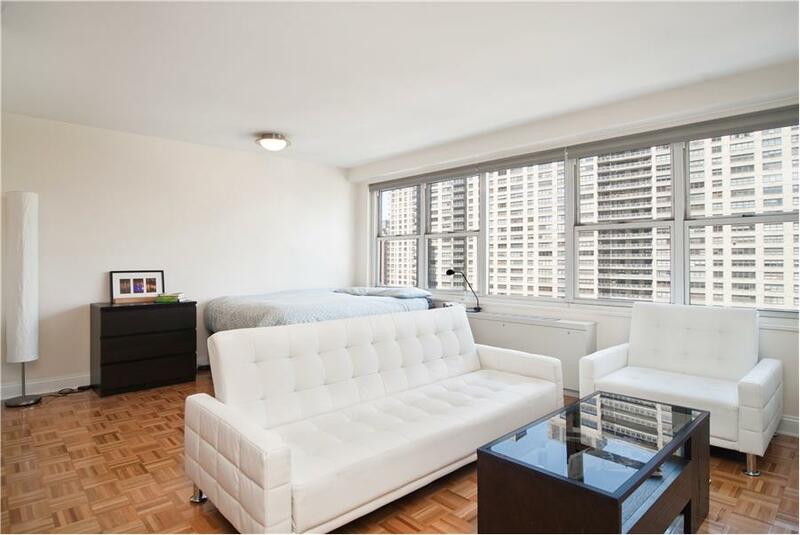 155 West 68th Street New York NY 10023 also known as Dorchester Towers Condo is located in the heart of Lincoln Center of Upper West Side neighborhood of Manhattan New York. 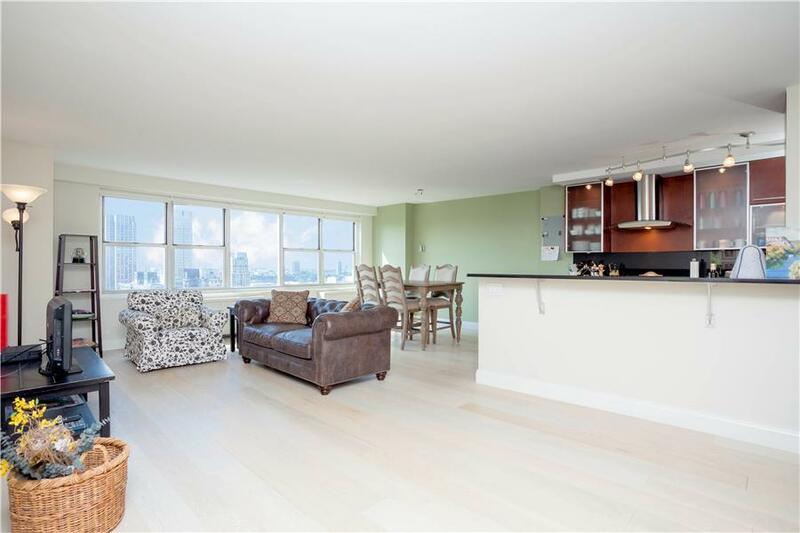 Dorchester Towers Condo Two Bedroom For sale– This unit is a two bedroom two bathroom condo unit on the 34th floor of the building. As you walk in, you will immediately see the open Western Exposure that makes the apartment feel open, spacious, and most of all, right at home. 155 West 68th Street – Dorchester Towers condo building was built in 1964 and sits on the city block of West 68th Street to West 69th Street, Broadway to Amsterdam Avenue. The building has several ground floor retail stores on the Broadway and Amsterdam side. When the visitors come to the building, they will noticed the well landscaped garden alone the circular driveway. The circular driveway allows residents to have grocery or items drop off right up to the lobby. The lobby of the building has full time 24 hours doorman and concierge, the friendly and helpful staff at Dorchester Towers Condo will always assist residents with their grocery, luggage, getting in or out of taxi or cars. Call us, at (917)837-8869 if you would like to know more about Dorchester Towers Condo. We have sold and leased many units in this great condo building. We know the neighborhood and its developements, we understand the building and its financials, we are the only agents that have been consistently selling and renting the unit in Dorchester. Work with us, you will be happy with the result. Call us, (917)837-8869, your only Dorchester Towers specialists. This entry was posted in Central Park - Upper West Side and tagged 155 West 68th Street, Dorchester Towers Condo on September 29, 2013 by eileenhsu. 155 West 68th Street-Dorchester Towers Condo is close to Lincoln Center, Central Park, Riverside Park, Supermarkets (Trader Joe, Food Emporium, Fairway, Zabar, just to name a few). This building has a 24 hour doorman and concierge, separate package room, management on site, roof deck and multiple floors of laundry rooms. This spacious alcove studio in Dorchester Towers condo has MINT RENOVATION of both bathroom and kitchen, walk in closet and storage space, and a generous sleeping alcove space. It is Western facing with plenty of natural sunlight. Call 646 644 6929 to see this. This entry was posted in Central Park - Upper West Side and tagged Central Park Condos, Chinese Real Estate Agent, Chinese Speaking Agent, Dorchester Towers Condo on June 10, 2011 by eileenhsu. Dorchester Towers located at 155 West 68th Street New York NY 10023 is located in one of the most prime Upper West Side Condos locations. Just blocks to Lincoln Center, Dorchester Towers is one of the longest established Upper West Side Condo buildings. This Upper West side condo was built in 1965 originally as a rental building when the Upper West Side was still an up and coming neighborhood. Dorchester Towers at 155 West 68th Street is now in one of the most desirable and convenient Upper West Side locations. Converted in the late 1980’s into a condominium building Dorchester Towers Condos is a full service doorman building. Dorchester Towers has a roof top deck, laundry on every floor, bike room, on-site management, and circular driveway. Dorchester Towers has some of the most attractively priced Upper West Side Condos Sales and Rentals available. Whether you are looking for a Upper West side One bedroom condo or two bedroom condo for sale, Dorchester tower condo may be the the building for you. At Dorchester Towers, Dorchester Towers is one of the most desirable Upper West Side Condos buildings. If you are looking to purchase a Lincoln Square Condo contact us at (917)837-8869 or (646)644-6929 today. This entry was posted in Central Park - Upper West Side, Featured Property and tagged 155 West 68th Street, Chinese Real Estate Agent, Dorchester Towers Condo, Manhattan Condo Tours on May 15, 2011 by eileenhsu. © 2017. Douglas Elliman Real Estate. All material presented herein is intended for information purposes only. While, this information is believed to be correct, it is represented subject to errors, omissions, changes or withdrawal without notice. All property information, including, but not limited to square footage, room count, number of bedrooms and the school district in property listings are deemed reliable, but should be verified by your own attorney, architect or zoning expert. Equal Housing Opportunity.